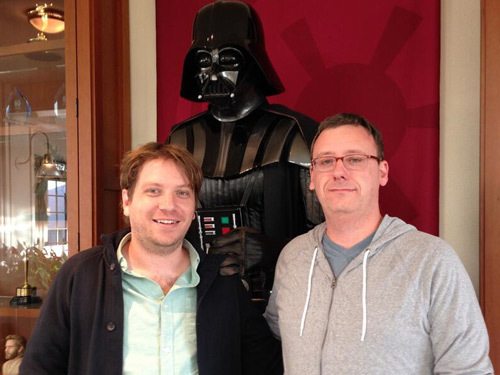 Lucasfilm announced that Gareth Edwards would be the director for Rogue One: A Star Wars Story three years ago today. The movie, which was released in December 2016, is the first of a set of Star Wars stand alone movies to hit cinemas. In an interview with StarWars.com, the Rogue One director said: "Ever since I saw Star Wars I knew exactly what I wanted to do for the rest of my life - join the Rebel Alliance! I could not be more excited and honored to go on this mission with Lucasfilm." Disney and Lucasfilm also announced that Gary Whitta, who wrote the scripts for Star Wars: Rebels season three episodes The Antilles Extraction, The Wynkathu Job, would co-develop the script for the December blockbuster. Whiita said: "From the moment I saw the original movies as a wide-eyed kid, Star Wars has been the single most profound inspiration to my imagination and to my career as writer. I'm truly pinching myself." The second Star Wars stand alone film, the untitled Han Solo movie, is set to be released next year on May 25, 2018. Can you believe it has been three years since the screenwriter and director of Rogue One was announced? What are your favorite moments from the film? Let us know in the comments below.